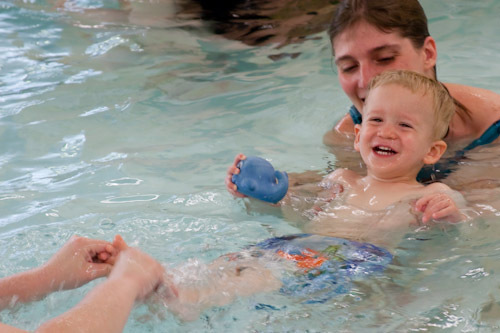 David enjoying his swimming class at the YMCA. I can’t believe he’s actually smiling while in bodily contact with water! Quite a change, I know – he’s getting very comfortable in the water now.